Transforming into an unprecedented gastronomic destination, Bal Harbour Village today announces the launch of Haute Cuisine, an event that introduces guests to the mouthwatering talents of six of the world’s most celebrated chefs with a combined nine Michelin stars. Created in Switzerland, at W Verbier in 2015, the organizers looked to Miami to launch a North American version of the festival and selected Bal Harbour, South Florida’s most exclusive neighborhood at the northern tip of Miami Beach, as the setting. With ten distinct experiences from which to choose, the festival will span four days from May 8-11th. A platform for internationally recognized chefs to share their culinary passions with food lovers, Haute Cuisine offers a dynamic schedule of interactive cooking classes and intimate theme-based dinners with specially curated menus of tantalizing dishes. 7:00 PM- Welcome cocktail reception at the iconic center Courtyard of Bal Harbour Shops. 8:00 PM- Fashion-themed dinner at French gem Le Zoo at Bal Harbour Shops spearheaded by famed restaurateur Stephen Starr. The globally inspired menu will be crafted by Chefs Jacques Pourcel, Thierry Drapeau and Alain Caron boasting a combined five Michelin stars from France and the Netherlands. 12:00 PM- Immersive cooking class at The Ritz-Carlton Bal Harbour led by Chef Pourcel of France with a total of three Michelin stars. 3:00 PM- Immersive cooking class at The Ritz-Carlton Bal Harbour led by Chef Drapeau of France with a total of two Michelin stars. 8:00 PM- Design-focused dinner at Oceana Bal Harbour , led by Chef Sergi Arola of Barcelona, Chef Joel Cesari and Chef Jean-Baptiste Natali of France with a total of four Michelin stars. 12:00 PM- Immersive cooking class at The St. Regis Bal Harbour Resort led by Chef Sergi Arola of Barcelona with a total of two Michelin stars. 3:00 PM- Immersive cooking class at The St. Regis Bal Harbour Resort led by Chef Joel Cesari of France with one Michelin star. 8:00 PM- Music-driven dinner at The Ritz-Carlton Bal Harbour’s Artisan Beach House led by Chefs Natali, Pourcel and Drapeau with a total of six Michelin stars. 12:00 PM- Immersive cooking class at The St. Regis Bal Harbour Resort led by Chef Jean-Baptiste Natali of France with one Michelin star. 3:00 PM- Immersive cooking class at The St. Regis Bal Harbour Resort led by Chef Alain Caron , judge of TV Show MasterChef Holland. 7:00 PM- Cocktail reception on The St. Regis Bal Harbour Resort’s outdoor Ocean Terrace led by all six chefs. 8:00 PM – Formal gala dinner at The St. Regis Bal Harbour Resort in the oceanfront ballroom showcasing a collaborative menu from all six chefs with a total of nine Michelin stars. 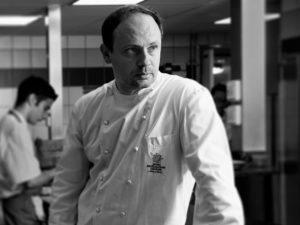 Hailing from Montpellier in southern France Chef Pourcel opened Michelin-starred restaurant Le Jardin des Sens in partnership with his twin brother, Laurent Pourcel. 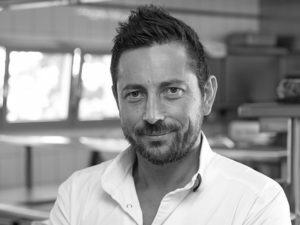 Specializing in Mediterranean flavors and concepts, he plans on opening a new restaurant this year called Place de la Canourgue at the Richer-de-Belleval hotel in Montpellier. 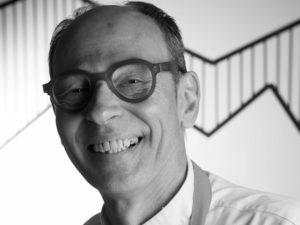 Serving as culinary director at tapas bar Eat-Hola at W Verbier in Switzerland, Chef Arola was recently awarded a new star for his restaurant LAB by Sergi Arola in Sintra, Portugal. 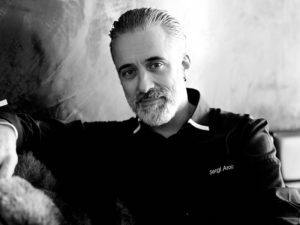 Recognized for his creative cuisine, he also stands out in the culinary world for his passion for music, referred to as the “rock star chef” as he was a guitarist in a Spanish rock group called Los Canguros. 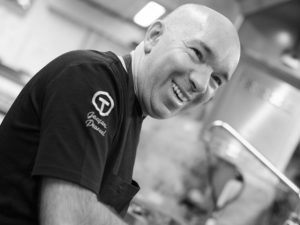 Owner and executive chef of the Michelin-starred La Chaumière hotel-restaurant in Dole, France, Chef Cesari’s cooking fuses traditional and contemporary styles. He carefully sources his produce and ingredients from around the world to ensure customers are served dishes of only the highest quality. Living in the Netherlands, Chef Caron was one of the judges on internationally recognized TV show, MasterChef Holland. 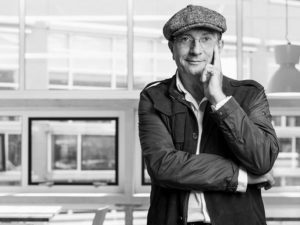 A cookbook author, he is also a fine connoisseur of Dutch local products and recently opened his own restaurant in Amsterdam called Café Caron. Originally from Haute-Marne in France, Chef Natali became the youngest chef to be awarded a Michelin star for his restaurant Hostellerie La Montagne in Colombey-les-Deux-Églises at the age of 27. Inspired by wild flavors, he refers to himself as a “tastes storyteller,” as he views his craft as a true artform. Haute Cuisine will take place at various venues in Bal Harbour Village, including Bal Harbour Shops, The Ritz-Carlton Bal Harbour, The St. Regis Bal Harbour Resort, and Oceana Bal Harbour. Tickets cost $250 for the dinners and cooking classes, and $350 for the closing reception and gala. Those looking to stay in Bal Harbour Village can book with preferential rates at all four Bal Harbour hotels mentioning Haute Cuisine Event.